An Asian NATO won’t be possible for some time without a change in how states conceptualize their security needs. Is an Asian NATO possible? Before answering that, we need to think about what we mean by “NATO.” If we mean a military alliance designed to deter or repel a large regional aggressor, then some sort of agreement triggering military action under certain circumstances might be possible. If we mean “NATO” as we have come to understand the activist collective security organization, then we have a long way to go. The post-war framers of the U.S.-sponsored collective security system surely did see the potential for an Asian version of NATO. SEATO quietly died after 23 years of pointless existence, the primary focus of its defensive commitment falling to North Vietnamese tanks in 1975. However, the idea of a collective security organization appeals to some strategists, given the fears that several regional states have about Chinese territorial interest in the East and South China Seas. Aggregating military and political capacity would prevent China from picking off opponents one by one, and would allow for operational coordination between militaries, even if an effective alliance could have negative second order effects. But it’s worth asking what, precisely, NATO is before suggesting that a similar organization is possible in East Asia. NATO has become far more than a military alliance; it serves as a framework for how European states understand their security. Most importantly, the value of the NATO alliance comes primarily through the symbolic importance that European leaders attach to it. The question “Would the United States defend Estonia from Russian attack” is, without the context of NATO, almost non-sensical; the better question becomes “How far will the United States, Germany, and France go to protect the integrity of NATO.” European security policy is developed entirely within the context of NATO; the fade or failure of the organization would require extremely difficult political and strategic decisions. 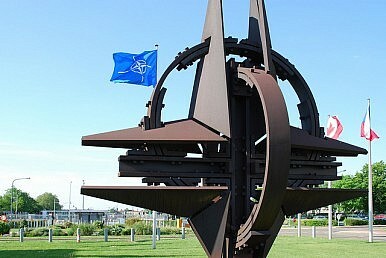 Reluctance to take these decisions inclines policymakers towards stasis, which reinforces the NATO affiliation. This sense of value allows the alliance to persist even when many members don’t feel strongly about the intervention in question, or when this varying enthusiasm leads to complex restrictions on military commitments. By contrast, Asian geopolitics seem marked by what amount to arms length, transactional relationships. For obvious reasons, the United States cannot call upon a long history of cooperation with Vietnam. Even the U.S.-Philippines relationship is fraught with symbolic difficulties. The United States has maintained tight, long-term relationships with South Korea and Japan, but as Robert Kelly has detailed the two continue to have significant problems with one another. To be sure, many of these same problems afflicted Europe in 1949, but the threat of the Red Army loomed much larger than that of the PLAN. Only sixty years of communal experience could re-create that feeling in the Asia-Pacific. And this sense of obligation to community is particularly important because Chinese aggression in the East China Sea or the South China Sea is less likely to resemble an armored assault into the Fulda Gap than careful “salami slicing.” Soviet aggression into Turkey or Germany posed an immediate economic, military, and social threat into most of the rest of the NATO members. China will likely threaten the seizure of a few islands of dubious military and economic importance. Developing a collective response to salami slicing is always more difficult than to more straightforward aggression, and requires that members place a great deal of value on and faith in the alliance itself. It’s a struggle to imagine how that kind of cohesion can develop under the geopolitical conditions that currently hold in the Asia-Pacific. Are We Prepared for 'Hybrid Warfare'? From Russia in Ukraine to China in the East China Sea, it is worth assessing how the world may respond.